When the Playground of Dreams was built in 1999, Dudney was there. And again in 2004, he was there when the playground was rebuilt after an arson. He’s organized book drives, collected food to be given away during the holidays and had his hands in several construction and landscaping projects at the Hospice House, the Developmental Center, Head Start and Master Gardeners gardens. Years of volunteer work added up to Dudney being named Tri-Citian of the Year for 2005 on Saturday night before a crowd of about 400 at the Three Rivers Convention Center, which he played a key role in creating as a founding member of the Kennewick Public Facilities District board. Dudney was joined onstage late Saturday by his family, while more than 30 of his relatives stood nearby for support. “I don’t know why I got this except for one reason, because I’ve been on good teams.” said Dudney, who held back tears during his brief speech to the crowd. 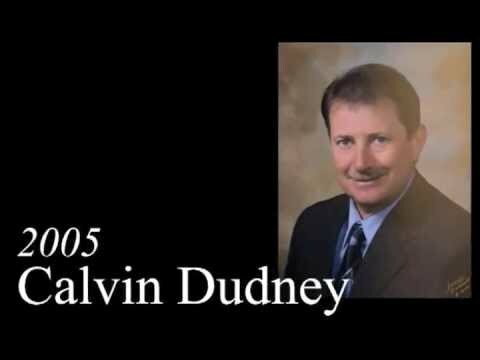 Dudney’s service to the community he has called home for 45 years includes projects as little as helping on Earth Day cleanups and remodeling bathrooms at the Boys and Girls Club in Pasco and as large as making decisions on the construction of the $19 million convention center. Dudney, who lives in West Richland, is married and has a son and daughter, was nominated for the award because of his extensive community involvement and for his effective leadership on a variety of projects. “Everyone who has had the opportunity to serve in the capacity with Calvin has been impressed with his leadership, motivation, drive and perpetual can-do attitude.” wrote Donald Ray, lieutenant governor for Kiwanis International, in his nomination letter. “He cares about his family, his country, his community and people he works with,” Ray added. Erin Tomlinson, foundation specialist at Kennewick General Hospital, got to know Dudney when they were officers of Leadership Tri-Cities Class IV in 1998-1999. “I think of his passion of helping to make our community a better place in which to work, live and raise our families. (He) has a remarkable ability to serve the community through effective partnership,” Tomlinson said. Dudney’s boss at Fluor Hanford noted that Dudney demonstrates in his daily life the Golden Rule of generosity, kindness, and positive living. He also emulates the best of what service clubs like Rotary and Kiwanis Club preach, even though he personally is not a member of either group. The award is sponsored by the Rotary clubs of the Tri-Cities, but the winners are chosen each year by an independent committee.